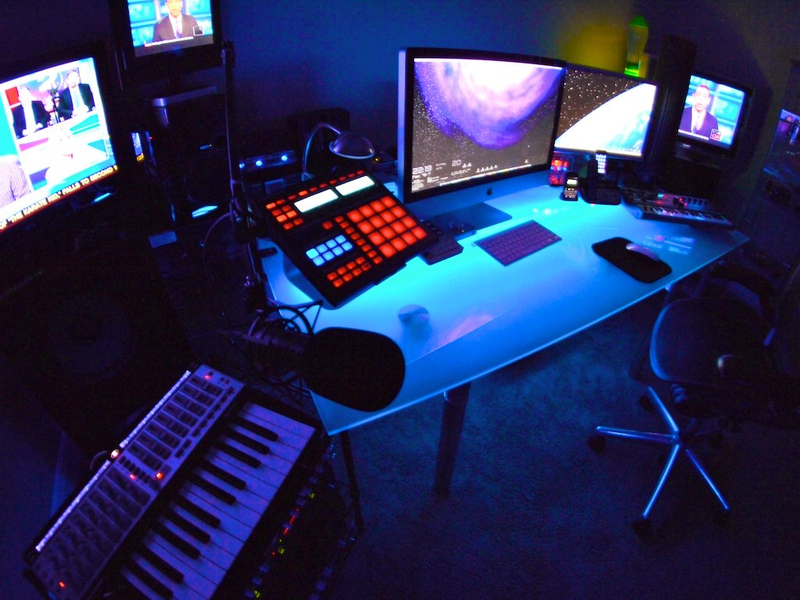 Many musicians dream of creating a home Studio, but still cannot collect sufficient amount. In this article we will tell you how to save on the creation of Studio so that it does not impact negatively on quality. Don’t hesitate b/equipment struck by how people believe that used equipment is bad for them. They want the “best”, new in the package. But it will cost you a lot of money, which you may not be. Drop the consumer logic of calling you want only new things and to reject a used item. For example, my MIDI keyboard only cost me $ 200, because it was not new. The former owner sold it to me because he gave up music, and the keyboard was just lying idle. It has no scratches, it was used only at home, the sound is gorgeous, all the features work. The difference between my b/keyboard and new analogue (my model is already discontinued) is just about the money. The new keyboard is similar to mine, would cost me 500 dollars more expensive. Feel the difference? Think about it. Many sell pretty good equipment in excellent condition for next to nothing for various reasons. Worry about the cables, Yes, the cable is not too much. But the constant replacement of cables may well damage your wallet. Try to deal with them carefully. Be careful that nothing cable. Do not twist the cable so that they were too severely stretched or twisted. Try to avoid unnecessary bends in the cable. In General, observe all rules of conduct with cables so that they serve you longer. You can do without some things Drums Drum set takes up a huge amount of space. And is not cheap. And even soundproofing you need to consider. You can work without drums, so you can save on the square at least. Replace drums samples. Of course, they are not as flexible, what would be the real drums, they sound a bit artificial. But if you are on a budget, then the samples will come to your aid. You can also look for free or cheap program. Amplifiers You can pay a lot of money for expensive amps or just get a simulator or plug-in amplifier. For example, Amplitude great program. Again, the sound can be sometimes artificial. But you need to adapt if the money you have is not so much. Make yourself Some things are too expensive? Make them yourself. Pop filter is Pretty simple to do it yourself. Take a thin iron coat hanger and nylon tights. Bend the hanger so that it formed something like a circle and pull on her tights. Cheap, cheerful, works on all hundred. Booth for the vocalist Some people put two sofas on the side and made them a kind of stall. Put back the MIC and singer. And it gave pretty good results. You can just put a large piece of foam behind the microphone. This will help you to achieve the best sound. Here’s an example: you can Also convert a storage room or another small room under the Cabinet for the singer as this guy did: Soundproofing is not necessary to buy expensive insulating materials and hire craftsmen, so they did everything as expected. Sometimes a properly placed furniture can better influence the sound than soundproofing, which you threw a ton of money. Study this article carefully to understand how to create a good sound and do the soundproofing at the lowest cost. You don’t always need to pay a lot of money to get what you want. 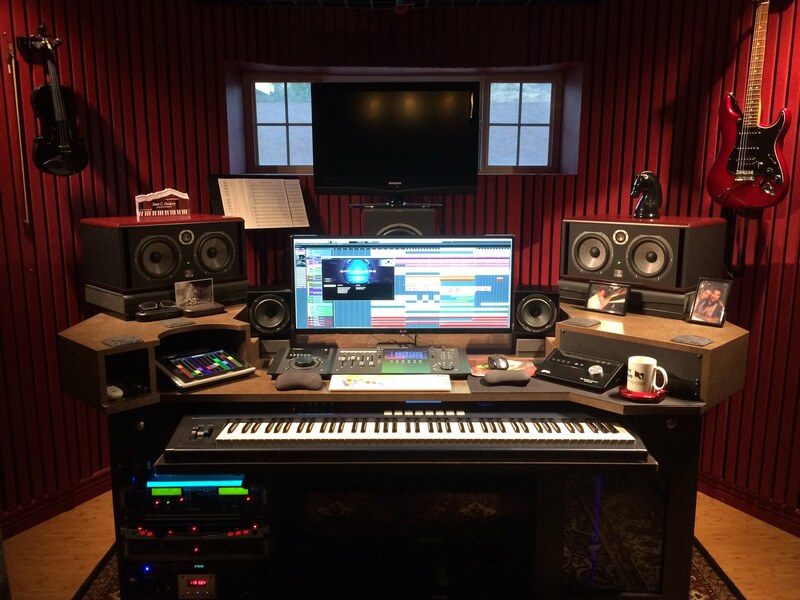 If you don’t like the sound in your Studio, try a few tricks that will help you to improve the situation Pad for the best sound If you have wooden or tiled floors, they can distort the sound. Lay a thick rubber Mat or carpet between you and your monitors. This will help you to avoid unnecessary reflections of the sound. This is especially true of high and medium frequencies. Use 12 AWG cable for your speakers You have checked the cables for your speakers? If not, note 12 AWG cable as the cable is of minimum thickness. This will provide a connection with low resistance and provide a good flow of power from the amplifier to the speakers. There is no need to buy a very expensive Wi-Fi cables. A good standard copper cable will help you to make the sound better. Use headphone amps I always use headphones? Then maybe you should buy a amplifier for them instead of spending money on good amplifiers that will be useless for you. On the forums, this way of discussing is quite lively, so that you can examine and decide how best to combine headphones with amplifiers. Many amps of this type have higher quality components than those used for standard external sound card that many people use for cleaner audio in the headphones.